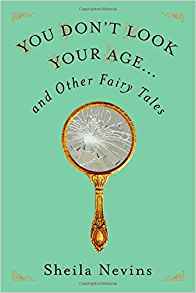 You Don’t Look Your Age is a collection of short stories and poetry, loosely yet clearly woven together, about the life of Sheila Nevins. Sheila Nevins is the President of HBO Documentary Films and has made over 1000(!) documentaries. She has been credited with the “rebirthing” of documentaries. Not typically a short story reader, I found my own self on these pages. As a woman entering business in a similar time frame (she is 14 years older than me, but had a later start in the professional world), I related to many, though not all, of her stories about work, men, friendship and personal growth. The decade of the 60’s, the decade that Ms. Nevins and I did not share, DID make a difference for the role of women in the workforce. However, friendships and the trials of womanhood seem to remain much the same. The very last story particularly resonated with me, as she writes about her mother’s struggle with an inherited disease, Raynaud’s phenomenon. This is a disease I was diagnosed with 45 years ago, inherited from my own mother. I like Nevins’ style – she writes interesting and important stories from her life, but not in a boring chronology. She emotes -- at times funny, at times sad, at times angry. This is a quick and easy read, though once or twice emotionally painful. I give it three hearts because of the short story format – not my personal favorite. Such a successful woman, I find she almost seems to take herself too lightly. Otherwise, it is a four heart memoir.